Additional Description: Looking from the 12th and 44th New York Infantry Monument toward the marker location. The 140th New York Monument stands in on the paved path in center frame. 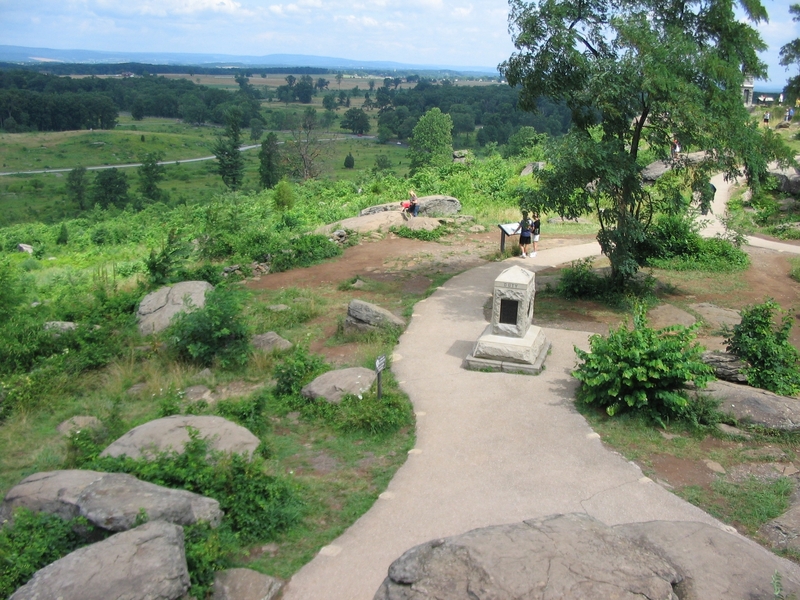 The "Defense of Little Round Top" marker is further up the path. Col. Vincent was rallying his men when mortally wounded by a Confederate bullet. A stone inscription claiming to mark the spot is just behind to the right of the 140th Monument. O'Rorke was mortally wounded leading the 140th over the crest of Little Round Top here. Submitted: January 1, 2009, by Craig Swain of Leesburg, Virginia.